Do you want to get more use out of your porch or outside space this year? Does the weather often cause hindrance to your outdoor plans? If so, it may be time to add a porch enclosure. 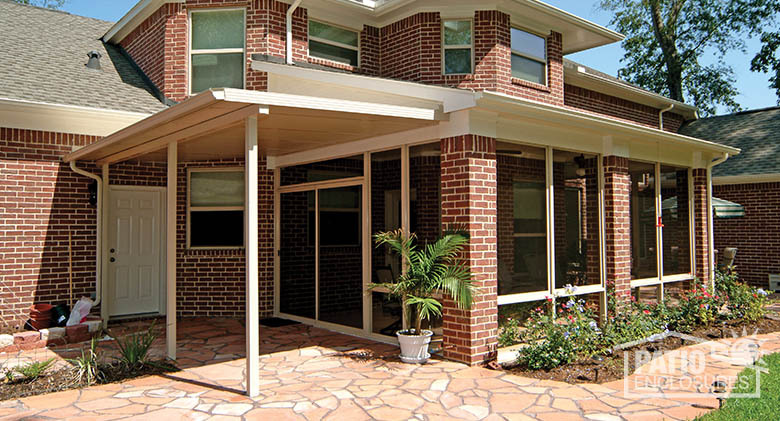 Learn more about the benefits of adding a porch enclosure onto your home. Have you ever been uncomfortable at an outdoor event because of the bugs or other insects bothering you? 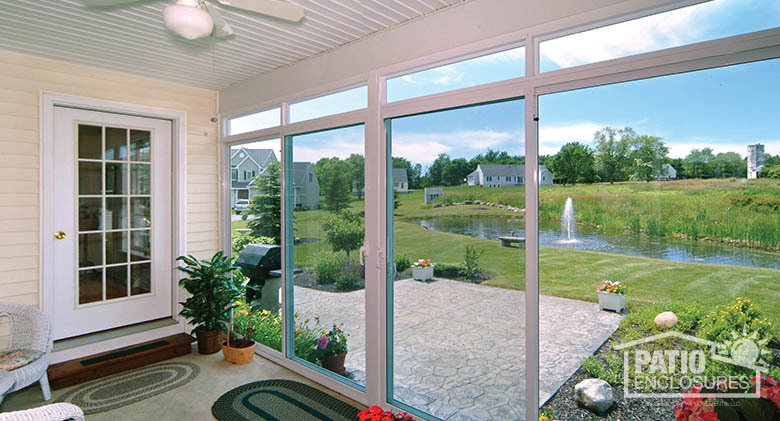 At Patio Enclosures®, each of our porch enclosures completely encloses your new or existing porch with either screen panels or glass, which keeps you and your loved ones protected from the outside. Imagine enjoying the beautiful outdoors without having to worry about the bugs or unpredictable weather! Each and every one of our patio enclosures can add extra living space to your home for your family to enjoy. If you are looking to add more space to your home but are on a budget, keep in mind that a porch enclosure is less expensive than a traditional home addition. Patio Enclosures also offers financing options for your addition, which allows you to make affordable payments. Any one of our Patio Enclosures products will increase the value of your home and add extra livable space for your family to enjoy. Our porch enclosures will also enhance the curb appeal of your home while providing you with a space that can be used for the majority of the year, depending on your climate. Do you wish that you had more privacy from your neighbors? Adding an enclosure to a new or existing porch offers additional privacy and protection to your home while allowing you to enjoy the beauty of the outdoors. With our endless design options, Patio Enclosures® can match the unique style of your home. Whether you have a modern or century home, we will work with you to design the perfect porch enclosure for your living space. What Options Do I Have When Choosing to Add a Porch Enclosure onto My Home? Screen Rooms. In the summer, unexpected rain can put a damper on your outdoor festivities. Even the blazing sun can sometimes be too overbearing for your outdoor activities. A screened-in room provides you with a beautiful, unobstructed view of the outdoors, with lightweight aluminum screens that provide great visibility and maximum visibility. Our aluminum frames are also strong enough to withstand the roughest elements and resist corrosion and sagging. Three Season Rooms. If you are looking for a little more protection from the elements, a three season room might be the best fit for you. Depending on your climate, our three season rooms offer additional living space in your home from spring through fall. 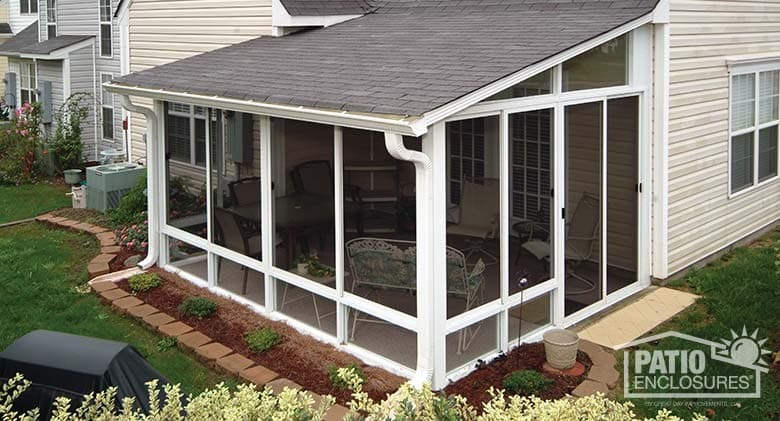 At Patio Enclosures, we also offer several roof options, locking systems and endless design options to ensure that your new sunroom is truly a unique extension of your home. Four Season Rooms and Solariums. If you’re looking to add a patio enclosure to your home for year-round use, a four season room or solarium might be right for you. Our four season rooms allow you to enjoy your room all day, every day, no matter the weather outside. They also include added security features; sleek door handles and advanced weatherlock with interlock sashes. If you are looking for a completely unhindered view of the outdoors, a solarium is an excellent choice. Patio Enclosures solariums provide floor-to-ceiling views of the outdoors with glass walls and roofs. Each of our solariums and four season rooms are custom designed and manufactured to perfectly suit your home. 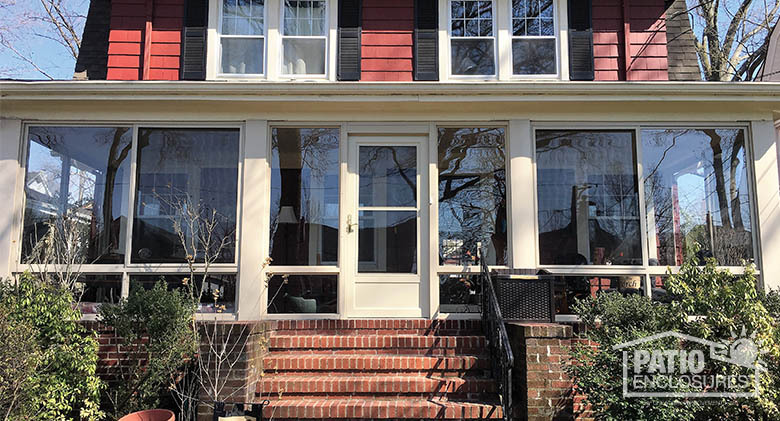 If you already have a porch on your home that is in good condition, enclosing your existing porch is a great way to maximize its use and square footage without hurting your wallet. We will work with you to custom design an enclosure that fits your space precisely as well as your budget. At Patio Enclosures, we design, manufacture, install, guarantee and service each of our enclosures to ensure that we provide you with the room of your dreams. If you’re ready to begin your patio enclosure project, give us a call or schedule your free, in-home estimate online today. Should You Add an Enclosed Porch to Your Home?